Call 831-476-2115 for more information about when this class will be offered next. Developed in Asia over 5,000-6,000 years ago, acupressure is an ancient healing art. Students are taught how to use their fingers to press key points on the surface of the skin to stimulate the body’s natural self-curative abilities. Acupressure students will learn to apply a comfortable range of pressure ranging from gentle touch to firm contact. When these points are pressed, they release muscular tension, and promote the circulation of blood and the body’s life force energy to promote health and healing. Acupressure uses the same points as Acupuncture and Traditional Chinese Medicine. The benefits of learning Acupressure are numerous. Acupressure can be used to relieve aches, pains, and other discomforts along with promoting greater health and wellness. 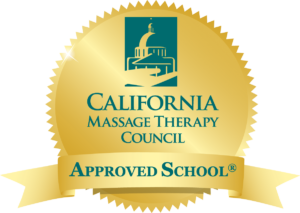 This class provides the skills needed to offer a complete general acupressure session. The class prepares students to work as an acupressure practitioner. Basic acupressure curriculum covers the main points and how to use them by themselves or in combination with other points. It also covers the eight extraordinary channels with their associated symptoms. Student learn the major organ meridians, pulse reading and traditional imbalances and organ associations. Learn the eight extraordinary channels and associated symptoms. Study point interrelationships, combinations and formulas. Learn the points and direction of each organ meridian. Understand traditional imbalances and organ associations. Learn about movement and transformation of energy throughout the body. Study the correlations between the five senses, seasons, climate and color. Learn about the five elements’ interrelationships among meridians. Rev. Fa Jun Christopher Real is a long-time practitioner and teacher of Asian Bodywork therapy. He completed studies in Western massage, Asian Bodywork, Qigong, and Martial arts beginning in 1998. In 2004 he was invited to participate in teacher training through the Boston Shiatsu School. Fa Jun has completed his Master’s certification in medical qigong therapy, has been nationally certified as a massage therapist, and is a certified yoga, qigong, taiji, and kung fu instructor. He brings realistic clinical experience, deep study of ancient traditions, and practical, understandable teaching methodology to each class.